A whole hour of bagpipe music for this special edition of Bagpipes Galore celebrating World Radio Day 2013. 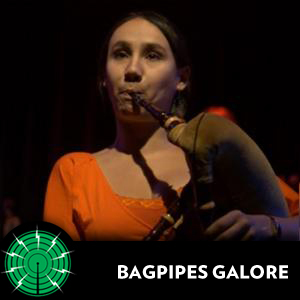 Here is a selection of some of the finest piping music from around the world with sounds from Bulgaria to Portugal, Southern Italy to Northern England and with a special Iranian jazz fusion piece. Open your ears and welcome back into the unending world of bagpipes! Galicia, Spain, has one of the highest densities of bagpipers in the world. The gaita is a popular instrument and is... Read more..